Definition at line 196 of file zutil.h. Definition at line 53 of file zutil.h. Definition at line 48 of file zutil.h. Definition at line 61 of file zutil.h. Definition at line 41 of file zutil.h. Definition at line 143 of file zutil.h. Definition at line 30 of file zutil.h. Definition at line 65 of file zutil.h. Definition at line 64 of file zutil.h. Definition at line 139 of file zutil.h. Definition at line 68 of file zutil.h. Definition at line 60 of file zutil.h. Definition at line 59 of file zutil.h. Definition at line 197 of file zutil.h. Definition at line 200 of file zutil.h. Definition at line 201 of file zutil.h. Definition at line 198 of file zutil.h. Definition at line 199 of file zutil.h. Definition at line 213 of file zutil.h. Definition at line 210 of file zutil.h. Definition at line 212 of file zutil.h. #define zstrerror ( errnum ) ""
Definition at line 152 of file zutil.h. Definition at line 205 of file zutil.h. Definition at line 34 of file zutil.h. Definition at line 35 of file zutil.h. Definition at line 38 of file zutil.h. Definition at line 36 of file zutil.h. Definition at line 37 of file zutil.h. 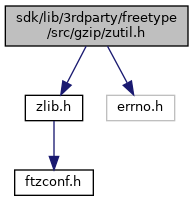 Definition at line 73 of file vfdzip.c. Definition at line 79 of file vfdzip.c.